Are you looking for a cool new gadget that can provide hours of fun at home? You might want to consider investing in a dart board. Darts has been a popular sport throughout the ages. It’s played in bars, at professional events and even by kids. We’re sure there are plenty of game rooms where a dart board is the centerpiece attraction. It’s great for parties too and is sure to stir up some competitive energy. Let’s be honest though, the score always gets lost during the game. It’s difficult to keep track of who’s winning. Enter electronic dart board! These devices automatically keep track of the score for you and avoid those arguments about who is really winning. It will definitely save you from the discrepancies that constantly plague these games when you’re trying to enjoy time with friends and families. 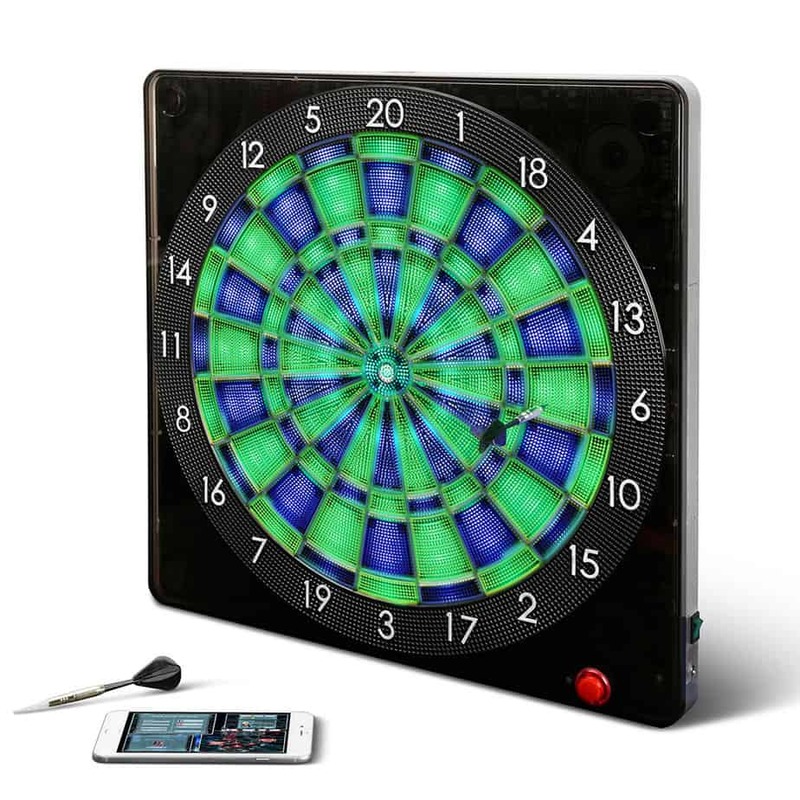 Issues with the score take some of the fun away so an electronic dart board could be a great option even if you already have a standard board. The good news is that there are a variety of these devices already on the market. The bad news? Now, you have to decide which one is right for you. From settings to connectivity to power levels, they all have their different features so you might need some help. On this guide, we’ve narrowed down the absolute best electronic dart boards you can choose from. We’ve researched the key features, the pros and cons of each device so you can make the right choice. The Best Electronic Dart Board In The Market For Your Money! 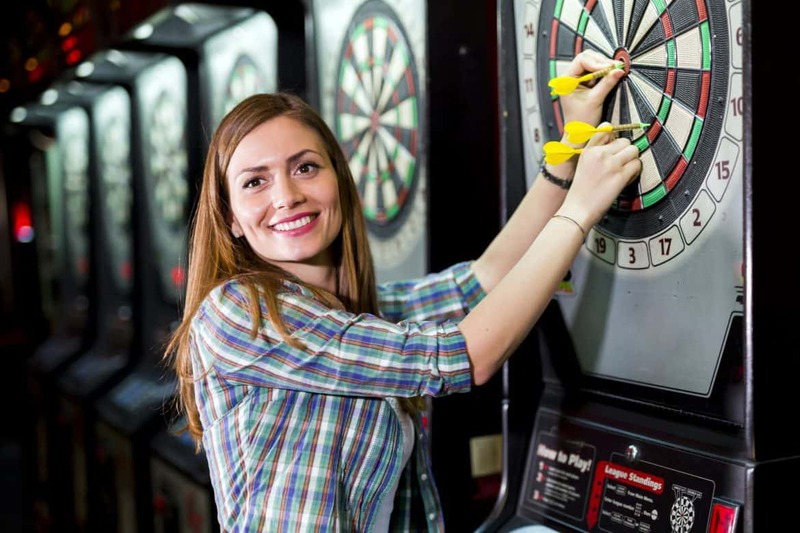 As mentioned, it’s difficult to select the right electronic dart board out of the massive list of options available and we’re here to help. Without further delay then, here are the best and most advanced boards available on the market right now, suitable for a range of different budgets and needs. If you want the absolute best electronic dart board on the market then look no further. This is definitely the one you need. It provides a stunning, hi-tech freestanding system that you will be able to rely on and trust with your score. The product provides a quality build too which means that you won’t have to worry about any scratches, bumps or dents. It will stay looking fantastic for years. Unfortunately, this device is expensive and some would probably argue it's built for commercial use. Still if you have the room in your budget, there’s no way you’re going to be disappointed with what’s on offer here. There a tri-color LED illumination that makes the issue of shadows a problem of the past. As well as this, you get a 19 Inch LCD flat display with a 15-inch target. The device is powered by 120 VAC and gives various game options for you to enjoy. You can choose between manual play, single or even doubles. We’re also delighted to say that this product comes with 6 darts and 500 pieces. So, there’s more than enough in case you lose a few or the tips need replacing. This is a big device and at 130lbs, it can be quite difficult to put in place and get set up. It has a stylish design too with colorful lettering and graphics over a matte black finish. 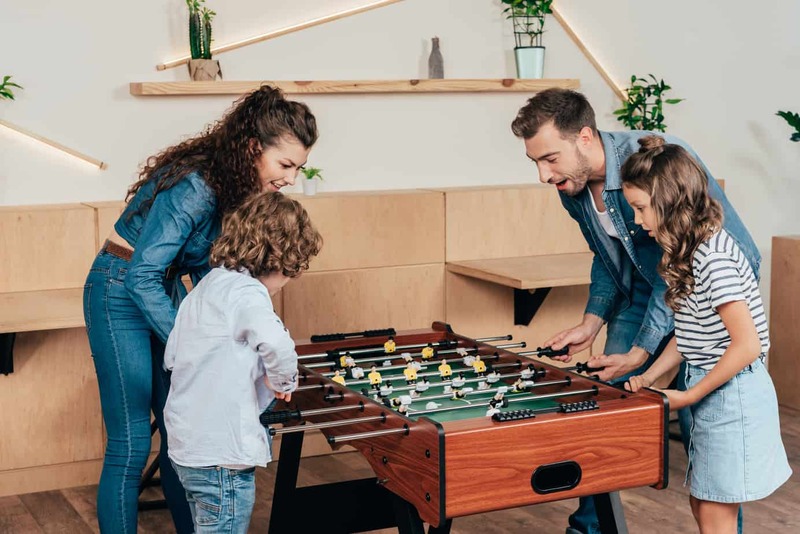 The board is suitable for as many as four players and does not have any online capabilities which suggests despite the price, it is designed for home use. It also offers a 13’’ board on the reverse side which means that you get double the fun for the price of one. High-quality build and design that will last for 20+ years without any sign of issues. Advanced technology and software ensure a great, fun game for everyone to enjoy. Double sided for a different type of games guarantees fantastic value for money. Fun to use and easy to assemble with great instructions. Lights ensure that there are no shadows that could impact your performance. Multiple game options and setups offer a variety of choice. Expensive for a game that is built for home use which will not fit most budgets. Heavy item will be difficult to set up without some assistance. Not suitable for commercial play as no online capabilities. More complicated than most electronic dart systems available and will require a longer learning curve. If you’re looking for a dart board that provides a more vintage or classic look, this could be a fantastic choice. It looks beautiful and is completely freestanding. As such, you can set it up virtually anywhere you want. The unique selling point here is certainly the stand itself which looks fantastic but this does come with a full size 15-inch electronic dart board. This is able to keep the score for as many as eight players and offers 28 games with 90 different variations. You can even play against the computer if you are just using the board by yourself. It also provides a sound system with a voice that gives the classic game that you might have played for years a little more fun. The stand itself comes with a large storage area ideal for keeping accessories and other pieces of equipment that you might want close by. Alternatively, the shelving can be used for storing practically anything which means it can be a great new piece of furniture in your home. You also get a 180-day warranty which means you won’t have to worry if you do spot any issues early in your purchase. This start board is capable of taking steel tips which is certainly different than the previous more expensive option above. The provided cabinet is a nice feature that offers a classic look for any game room. A low price for an electronic board, a freestanding storage unit and additional storage space. Easy to assemble and set up without any help or expertise. Simple to remove marks on the board with a soft damp cloth. Different features and settings will provide some wonderful, fun games. Two options for installation provide a fantastic level of versatility. A low-quality build may cause an issue after a couple of years or even months. You could find that there are already wear marks on your product. Low-quality darts may need replacing even though the board itself is of high quality. May not suit those looking for a true dark cherry finish as the wood is a lot lighter than you may expect. This product is designed for both the home and the office. It’s colorful and has a modern design that guests and family members are sure to love. If you’re looking for something to fit in with other furniture this won’t be for you as it’s bright green! Instead, it’s designed to stand out and looks very cool while the color of the case can change depending on how you set it up. Using this product is easy too. All you need to do is download the GUZ board app on your phone or tablet. You can then enjoy the games online! The system also provides stereo and stage effects for a truly thrilling and exciting experience during play. This product does provide international dart rules and the global rating system, so, if you are eager to practice professionally then you can rest easy purchasing this dart board. You can even connect the product to your home speaker system or TV to provide a fully immersive experience. Installation is quick and easy with all the tools you need included with the product. You can fit this indoor or outside as long as you make sure to bring it in during bad weather. You can control the lights and other effects through the app that you download. 8 players can experience this device together on a global scale. Lightweight, you can set up this system virtually anywhere around your home. Offers a full game history to keep up to two games. Global rating system ensures it’s easy to keep track of how you’re performing against other players. Fewer game options are available if you do not have access to online play. If you are unable to install the app it’s difficult to use. Plastic construction does not provide the same level of quality as other holders. Appearance isn’t traditional and may put off those used to the classical design. Without the app, many features are off limit including the ability to display and track scores. If you’re looking for a smart dart board, fun for the whole family and friends then this could definitely be the choice for you. A key feature of this board is that it lights up and looks stunning when it does. Try it out in a dimly lit room and you’ll love the beautiful bright green and blue colors. It’s not just a design feature either. The lights will brighten up the places that you need to hit. It’s another reason why this could be a great gift for kids or for the family to enjoy. 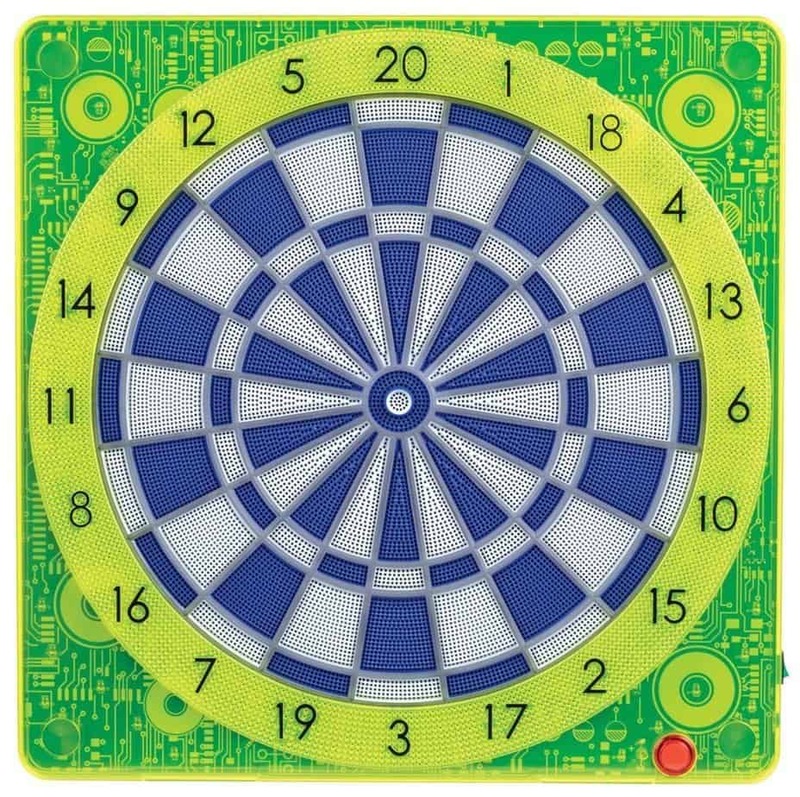 It offers 100% accuracy when counting points which is how it claimed the name ‘the best Electronic Bluetooth dart board! This product is also designed to be completely durable which means that it should withstand even the hardest knocks from darts that may be thrown at full force. It’s another device that does require an IOS/Android app for scoring but this is completely free. The app also provides sound effects and features that syncs to your phone. The product includes a variety of accessories including six darts, a throw line and all the hardware you need to mount it to the wall. It can be powered by both AA batteries or an AC adapter which is included. You can screen mirror it to the TV so that everyone can see how people are performing which makes it perfect for parties. Fun design means that is is suitable for everyone to enjoy including kids. Great value for money as long as you don’t mind not getting a case or stand with it. Comes with a range of accessories that are sure to make the game more fun. While the app is useful, you may have trouble connecting it to certain devices such as a Google Pixel Phone. Other devices will connect with no issues. Light up sections may distract or annoy professional darts fans that aren't used to this modern design. Another great electronic dart board from The Darts Factory, this one does provide online play once again through a free to download the app. It’s not as bright, colorful or playful as some of the other possibilities on this list. So, if you’re looking for an electronic device without all the bells and whistles, then this could be the one for you. The dart board is complete with international dart standards and caters to a global rating. You can use it for Zero one and cricket. 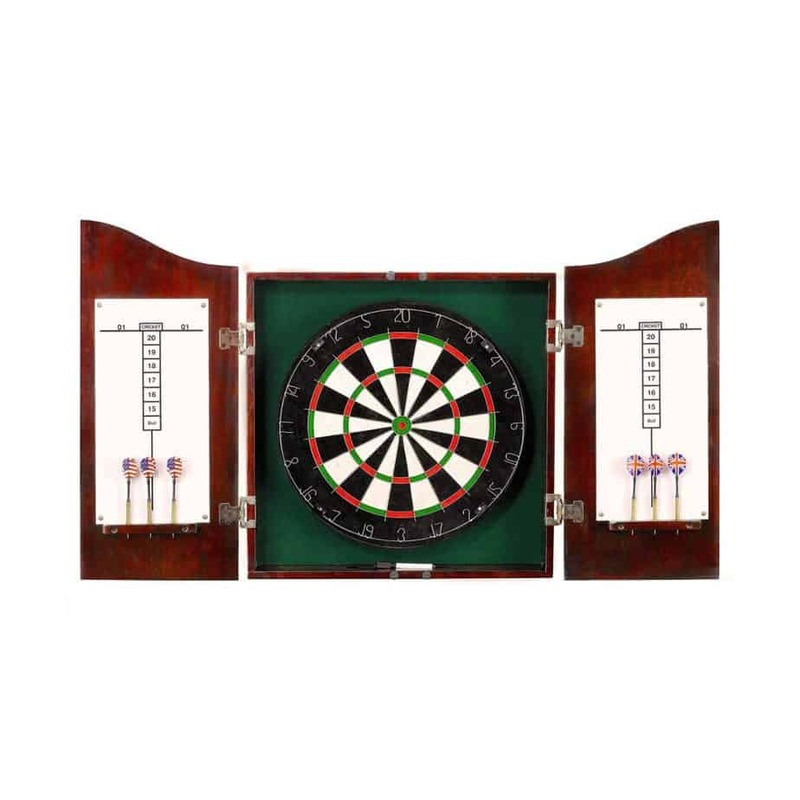 Some of the other dart boards on this list come with stands and equipment that is difficult to assemble and put together. You’ll be pleased to hear that this one is simple and can be up and running in minutes. Since it’s just the board itself all you need to do is fit it to the wall. It provides ten games that you can choose from to battle your friends so could once again be a great choice for parties or special occasions. The Bluetooth system is modern, sophisticated and one of the best that you can buy in 2019. Designed as a clash between the standard game and the more contemporary selections on the market, we don’t think you’ll be disappointed with this product. Features online use which is ideal if you commonly do find yourself playing alone. The system is easy to use and ideal for parties or a get together with friends. Suitable for both battery power and an AC adaptor. The free app is easy to use and access from most devices. It offers a mixture of fun online play and frantic games with your friends. This product is only for soft tip darts so if you want one to match steep tips you will need to look elsewhere. The product does not have a vibrant design which means family players and kids may find it a little dull. Does not provide the same scoring system as other GUZ devices available on the market. The device is fully reliant on the app. If the app stops working the dart board is useless. May not be suitable for those who simply want to experience and enjoy the classic game. Some players will prefer using steel darts. If this describes your play style, then do be aware that not all electronic dart boards will provide this option. Some are only designed for soft tips and throwing steel ones will no doubt damage the board. There is however a good variety of both for you to choose from. 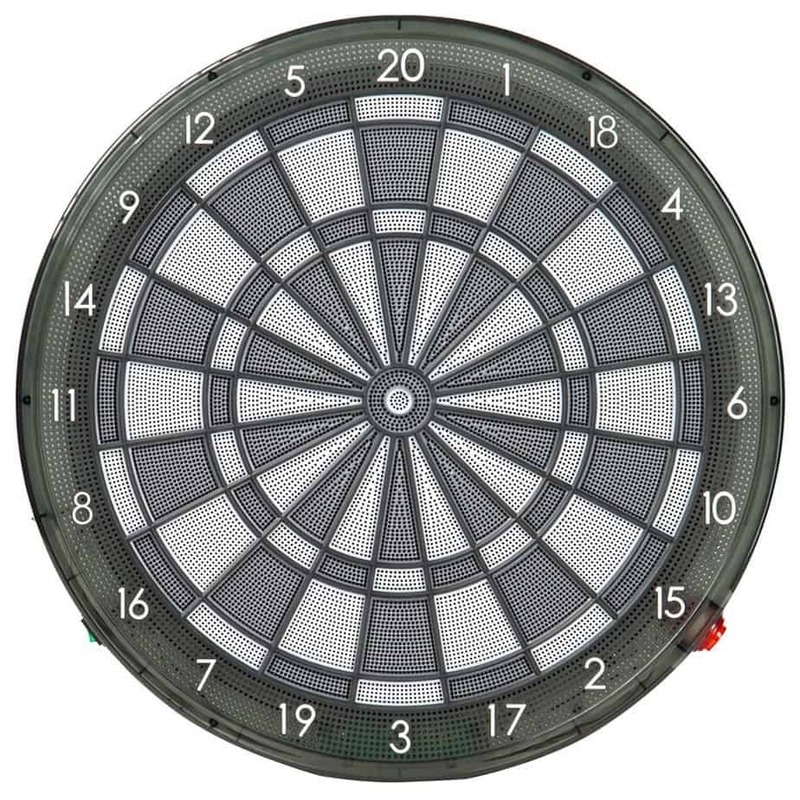 Many electronic dart boards do now provide possibilities for online play. The best products will allow you to compete in online tournaments and against players around the world. This will typically only be accessible through an app. 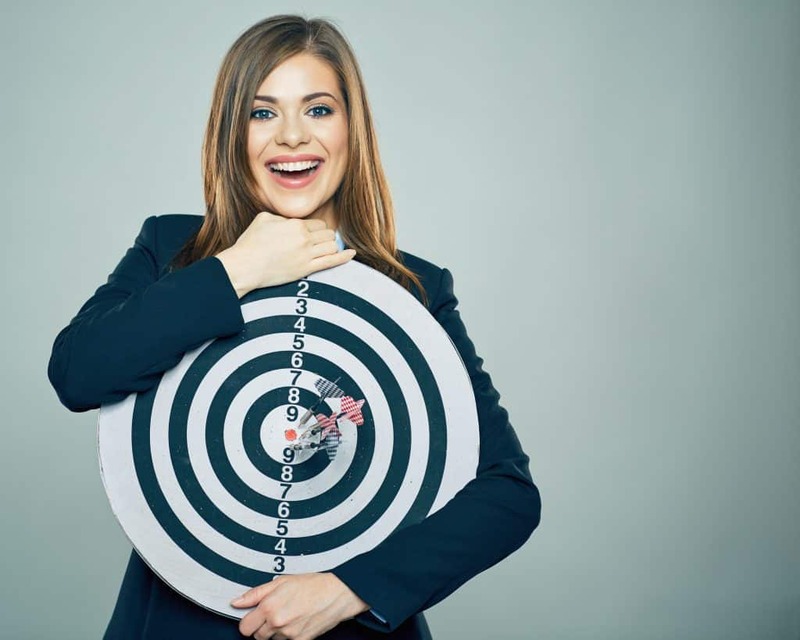 If a dart board does have an app that you can download, there’s a good chance that you’ll be able to go online and try your luck against other players. One of the best things about electronic dart boards is that they are electronic! This means that you should be able to expect a whole range of features that you find with a classic device. That includes lights and sounds. Lights and sounds can make the game more exciting and immersive, while offering some fun spectacle to impress guests and family members. Lights and sounds are often found on more expensive and elaborate devices rather than the traditional systems. Some devices can be set up as freestanding pieces of equipment. The benefit of this is that they can be put up anywhere and still provide a quality base for your dart board. If your dart board is shaking when in use though, it might be better to mount it to the wall. Most electronic dart boards can be fitted either inside a cabinet or on the wall for easy use. 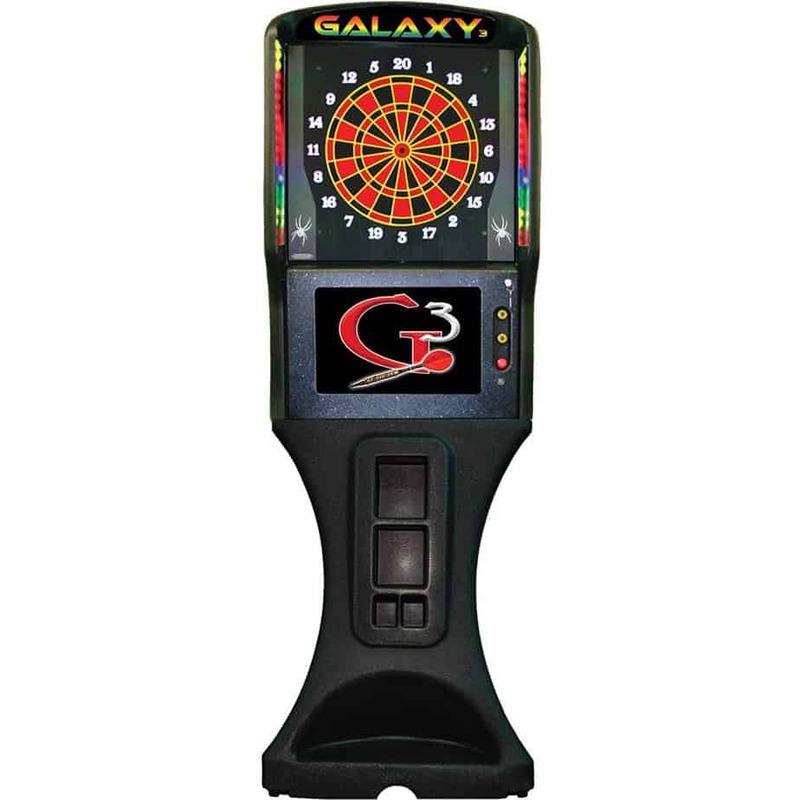 You will also find that different electronic dart boards have different power supplies. While some can be fitted with an AC adaptor, others operate using battery power. You’ll have to decide which one suits you. Remember, the more powerful and elaborate dart boards will require a lot of power and as such a battery could be the best option. Bluetooth devices will also eat up more power when this feature is enabled and some dart boards require Bluetooth to be on to function. A set of darts will almost always be included with any board. However, as we have shown, they’re not always up to the job so you might need to buy a replacement. Some will also only provide the bare minimum rather than a full set to enjoy and use. A measuring strip will help you know exactly how far away you need to be for a ‘professional style game.’ It’s a great piece of accessory to include for serious darts players. Stands or cabinets may also come included with some allowing you the chance to have a fully free standing dart board. Do check whether they provide a solid base though. There’s no point buying a freestanding dart board if it’s going to shake with every one thrown. Cleaning equipment can also help you keep the product in great condition and some will require special maintenance to avoid signs of wear and tear appearing. Finally, many electronic dart boards these days do come with an app included. This should be free to use and you should always check whether it’s going to be suitable for the smart devices you own. You should also be aware of what features you can use without the device as apps like this are often quite temperamental. Now you know some of the best electronic dart boards available on the market. But which one is suitable for you and which option would we recommend? You might think that the biggest and most expensive is the best, but that’s not really the case here. For the astounding price, you would expect the Spider 360 3 system to be the ideal dart board. With no online play though, the prize must fall to the GUZ electronic smart dart board. This system is suitable for playing with friends, online or just flying solo. It has a clever modern design perfect for any game room and a price that is more than affordable. With other devices a lot of the cost is added on due to the stand that comes with it. But the truth is you can save money by purchasing a stand separately if you need your dart board to be freestanding. You’ll probably get a higher quality product too. 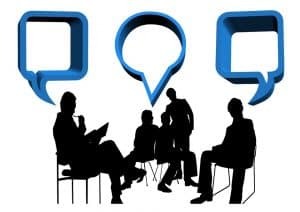 Some of the other options on this list do provide great additions but if you have a strong internet connection and a suitable smart device, you can’t go wrong with this product. Though, we wouldn’t be surprised if features from other boards tickled your fancy. For instance, being able to show the scores on your TV to friends and family during live play is an impressive possibility available from the Hammacher Schlemmer board.